Pete Spowage’s Art Gallery is the art centre for everybody. Founded in 1998, we present a variety of artwork and offer exhibition space for other artists. Pete has painted what one might call simple pieces of art such as “Park Life” but he has another side to him where he has produced some inspiring diverse paintings which has given him the freedom to paint for himself. Anywhere from Abstract to Figurative. Producing paintings is not the only string to his bow, Pete likes to share his knowledge of art by teaching Art lessons by appointment only at 185 Mansfield Rd, Nottingham. It’s a place where you can leave all of your fears and anxieties at the door and release that inner artist in a non-judgemental atmosphere. Pete is a well-travelled man and some of his paintings tell the story of his journeys, he has taken part in fundraising auctions with the British Red Cross (Art for Humanity) which was hosted by a number of celebrities, he has also donated the proceeds from certain paintings to help people in third world countries with their education and daily living. He is a compassionate man with deep thoughts, he loves nature and would like to protect and preserve it. Pete has often created paintings encouraging us to do the same. The Art gallery which is situated in a popular part of the City Centre on Byard Lane opposite Hugo Boss has a variety of rooms which will inspiringly take you to different places in your mind due to the diversity of the paintings. 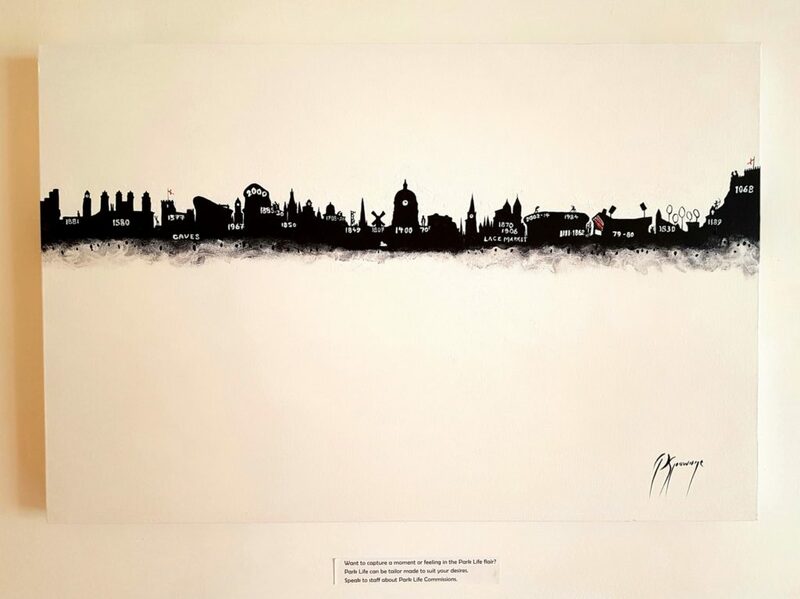 Pete’s work has appeared on various TV programmes such as “Come Dine With Me” and “Grand Designs” to name but a few. His work features in homes worldwide including those of celebrities, but despite all of this Pete has always stated he would like his paintings to be affordable for everyone because Art is important.